I give up. I will join the dark side and follow this drama, even if I’m not a fan of the novel writer’s works. Lol. She’s known as Stepmother for a reason! Really want to see how our Wu Xin goes all bad boy in here (+ other pretty boys and girls!) So shallow of me. But I blame you guys! 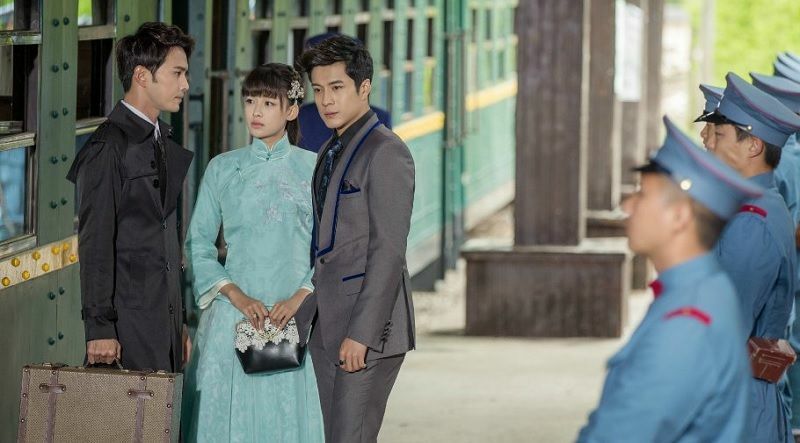 Siege in Fog premieres 3/2 and airs Wednesdays-Fridays, 2 episodes per day. VIP members (ahum) get to watch more episodes of course, 8 episodes the first week, 3 new ones the following Wednesday. Total of 50 episodes. 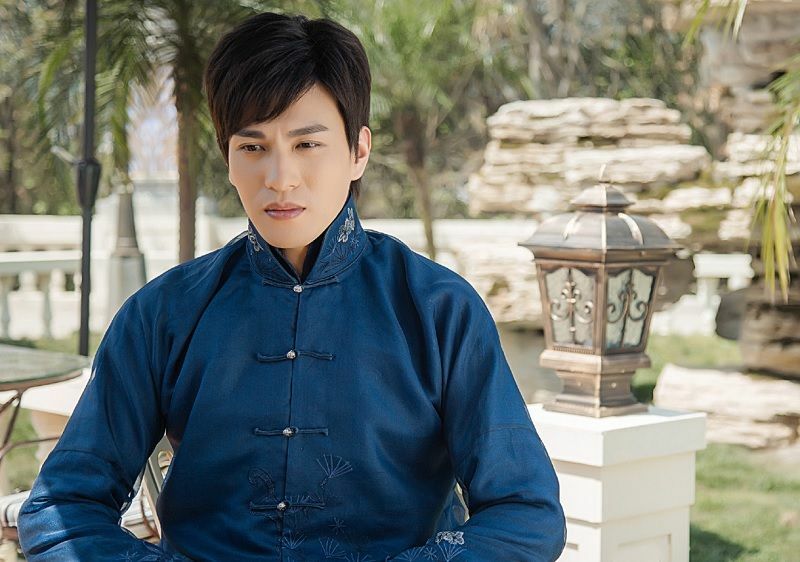 This entry was posted in Discussion Posts, First Impression and tagged Alex Fong, Author: Fei Wo Si Cun, Cdrama, Elvis Han Dong Jun, Jones Xu Zheng Xi, Kelsey Lv, Korn Kong Chui Nan, Ma Jing Han, Novel Adaptations, Siege in Fog (人生若如初相见), Sun Yi, Yu Bo, Zheng Luo Qian, Zou Ting Wei by Kappy. Bookmark the permalink. I am genuinely confused about this drama. So they are going to tell us how Elvis Han and Sun Yi first met through flashbacks? Up to episode 6 so far and the drama is boring me with lots of war scenes and the conflicts between the few warlord families… I honestly expected more romance after watching the long trailer lol. Gonna keep watching for all the eyecandies in this drama though. I believe the romance happens probably in the middle of the drama? In the novel, it happens towards the climax and end. Fortunately, for us it’ll be sooner since it’s more melodrama and romance based haha! Where to watch for free with eng subs? I’m sure other sites will post up English subs in due time but I have translated the first episode at subscene. I hope you all can collaborate soon! The new episodes are so good as well. Hi Kappy & Pikabuu, I’m currently subbing this drama too. I’ve done ep 1 & 2 and starting on ep 3. If you guys have time and are interested maybe we can form a team? My first impression of 1st ep: What?! Huh? Is this a flashback? Lol I’m lost. I don’t know how long I’ll last for this type of story… The author writes about male leads with a specific domineering personality, but I don’t really like her male leads as much lol. Costumes, voice acting, acting itself, setting, etc all the aesthetic stuff seem alright so far. I expected them to tell the story from when they were young to the present timeline. For me, with tv shows, the chronological route seems like a logical decision for the narrative. They have so many episodes to explore the childhood parts and to flesh out certain aspects. I feel that flashbacks and jumping into a part of the timeline would fit movies more so. It makes it more suspenseful. With movies, they can’t include every detail. But I guess I’ll stick a few more episodes and see the direction they are going for and how they present the storyline (even when I’m not a fan of the storyline lol). In the novel it also starts out when they are already married and you only find out more about their past through mentions. Honestly for this type of story I thought it was fitting they started here because the leads do not interact that much before marriage. This was one of the reasons they found it so hard to express their feelings for each other. They met once (by her standard) and twice (by his standard) before he asked for her hand in marriage. She already had a full time boyfriend that her parents didn’t approve of by then. Ok, so it wasn’t just me then. I took me a while to place people and timelines in proper order, considering I don’t know much about the original story. Between this and Flame’s Daughter – I’ll watch this. I agree. Flame’s Daughter made me cringe. For this show, it took me a bit to get used to stuff because I skim the novel so fast lol. I was only checking out the novel for the romance portion because people said the author excels at writing poignant scenes between the couple. I definitely skip out on the political machinations and whatnot. I’m also interested in the battle between the brothers for the inheritance. Overall not bad at all. However, I think this drama could have made a better impression if it had a somber color palette like in the Sparrow/ Disguiser. If the whole drama is gonna be told through flashblacks then I’m not interested…I watched some of the first ep but stopped cos it was confusing and don’t understand why they’ve edited it this way. Will probably just wait til there’s video cuts of Sun Yi and Elvis Han scenes, then watch them in chronological order lol. Yes! And what I really like about it is that while they both don’t agree on love’s front, they get each other’s schemes and work perfectly. She doesn’t get bullied around and stands her ground, but at the same time, she isn’t bullish and pigheaded about it. I love how she manoeuvered the second lead without really offending anyone. 😀 And they are both so smart!! Hahaha. I read one of the comments and youtube and someone mentioned that it is very rare to have both leads’ intellect present and they act very well to boot. They both seem to be comrades in how they don’t mince words and kept it brutally honest, but still respecting each other’s intellect. Interesting choice to keep Pan Jian Chi around, because he definitely knows that there were tension between him and Qin Sang. Keep your friends close, keep your enemies closer? Wednesday cannot come fast enough! I am loving Sunyi’s character, she’s calm but there is still some fire in her, just very contained, which is different to the girl in the book, I prefer her interpretation. I love the moment when she asked him in that belittling voice of hers if he was going to say he loves her, he looks at her with such hurtful eyes, searching for an ounce of reciprocation from her but she turns away, squeezing at her own hands instead. I wanted to jump in the screen and tell them they love each other and just kiss already! Both Sunyi and Elvis are so good, apart and especially together. 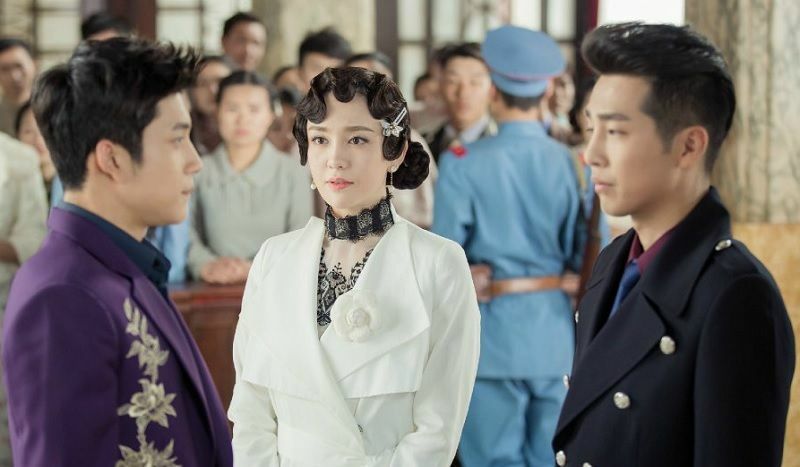 I’ve seen Sunyi before in 15years and Because of Meeting you so her chemistry with her leads was something I expected, I had only seen Elvis in Chinese Paladin 5 and was very unimpressed with his coupling, however, here I am sold. Agree on how awesome Sun Yi is, but ever since watching WuXin Monster Killer (1 not 2, please don’t watch 2) I REALLY REALLY like Elvis. He was also entertaining and convincing in Good Times with Hu Ge. Up to ep6 now! I actually adore the scheming hahaha. I love how everyone is complex/has complex motivations for what they do and how lines of dialogue often have multiple layers of meaning. Elvis Han’s acting is great. I am not oposed to actual “drama” dramas, although Siege does look more like a melodrama at the moment, but they are hard to make. It takes considerable skill to make it hurt soo bad but still feel right. Stepmother’s stories are generally sad endings, so don’t expect anything from her. I have read the entirety of Siege in Fog and actually liked the story but the drama is very different, the relationship between the two is also different. I honestly prefer the drama at this point since it gives more background and builds characters with more grey areas. From what I saw of the two long trailers, almost everything in the book will happen in the drama. Some episodes were leaked last year and showed the male lead dying along with his second brother. But there’s a new trailer released for one of the OSTs this year that showed a new scene, so they might have changed the ending. 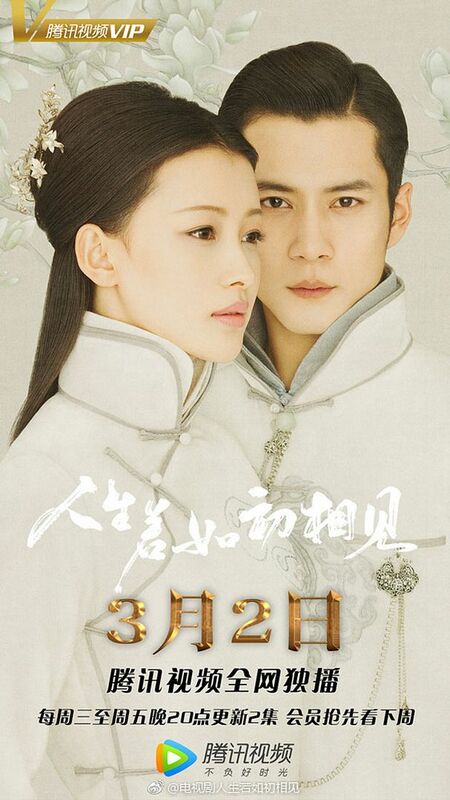 The drama is quite different from the novel so far anyway; the male lead is definitely alot kinder and likable here. The new OST showed a happy wedding scene as well. Today episodes Qin Sang has a flashback to their wedding and they didn’t have a good one. She said something upsetting upsetting to KEL and he left the bedroom. Is it just me but the second brother Yi Lianshen (Zou Tingwei), at a certain angle, looks alot like Mark Chao maybe it’s the eyes?? 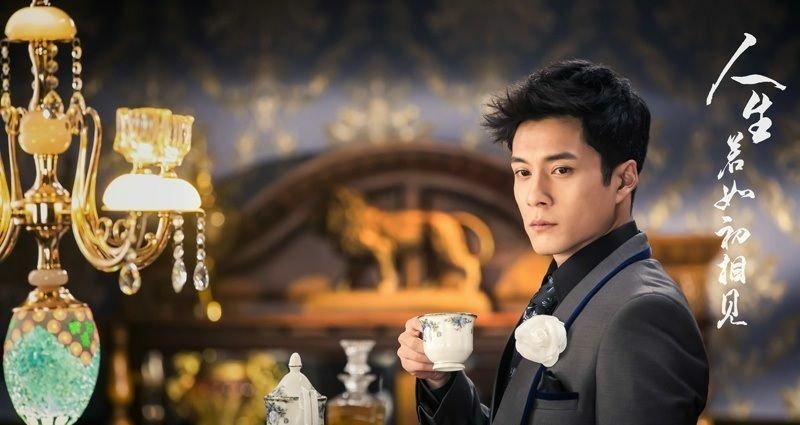 I think Elvis Han is doing a great job, the role suits him perfectly. Yes I agree he looks a lot like Mark and one other actor I can’t quite place…maybe that guy from Its Not easy being King? Yes, I thought the 2nd brother looks like Mark Zhao also. His acting is very good in this drama, too. I’m not a native Chinese speaker learning through classes. I wouldn’t be of too much help but I could translate basic sentences here and there. I just figured it would lighten her load and get subs translated faster? I actually be willing to help with any aspect if she needed help. Whatever gets it out there faster. Thanks! Look forward to watching it with Eng subs! I’ve only managed to finish four episodes but I’m liking it so far. While I’m in for the romance and all the upcoming torture, I’m more interested in seeing how the story will develop between the three brothers. Who will outsmart who, I wonder? Hope they don’t disappoint me with their power play. Also love that we get a glimpse of a young Murong Feng here. I had always been interested in seeing what he was like prior to meeting Jingwan. 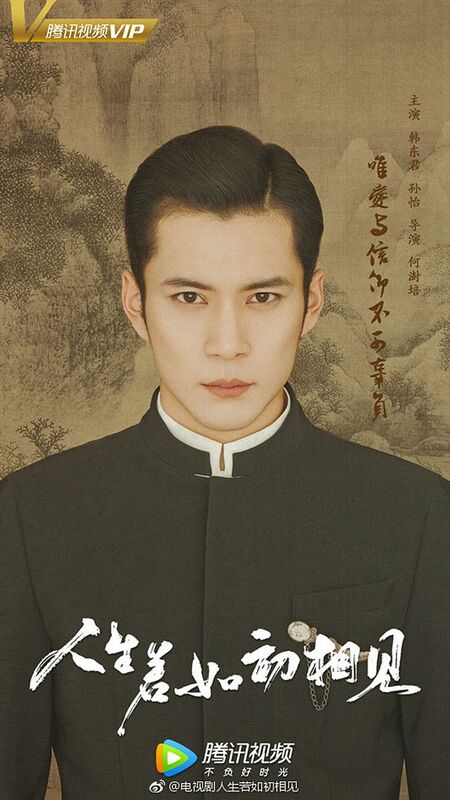 The actor who plays the young warlord does vaguely remind me of Wallace Chung so I guess that helps hahaha. 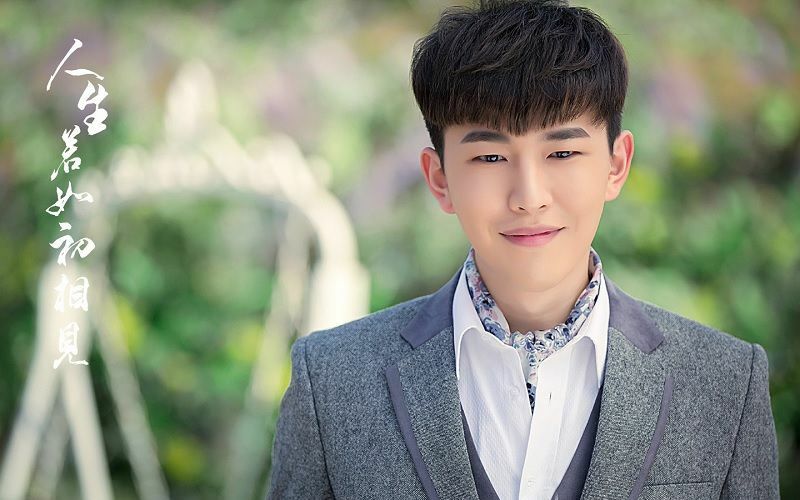 Do you also get the impression young Murong Feng likes Sunyi’s character? I’m not the only one who feels that way but considering he is the lead in another story and Sunyi’s character actually appears in that one and they don’t have any romance between them there I’m not too sure. Ah, I see what you mean. 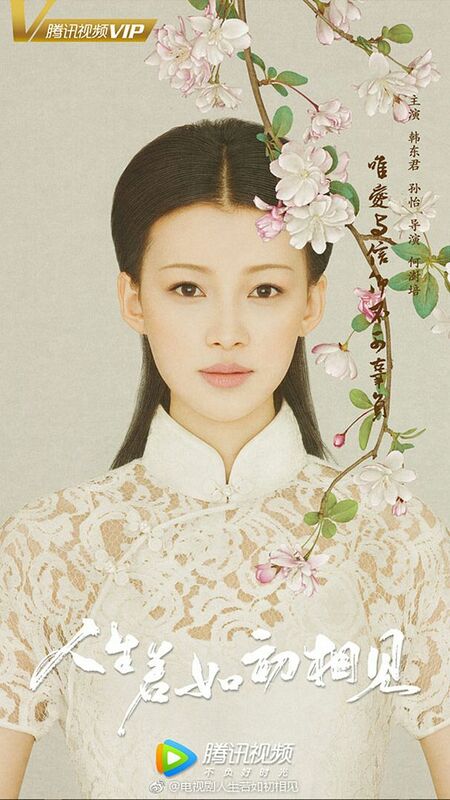 I actually don’t remember her character in Murong Feng’s drama, to be honest. But it seems to me that he is more fascinated by her relationship with Yi Liankai than her as person. It has been mentioned a few times that the couple gets along on the surface only and I’m sure MRF is aware of it. But he seems to notice all of the micro expressions from Qin Sang when it comes to YLK. Even in that scene where YLK is fighting (ep 6? 7? ), MRF keeps his eye on Qin Sang and we notice how worried she actually is when YLK is being beat up. In that scene, what I got from MRF is that he’s trying figure out whether or not she actually cares for YLK. So while I think, yes, he may be intrigued by her, it’s triggered by the fact that he suspects something is different about this relationship between the married couple that others are not seeing. On the other hand, I am not surprised if he does actually harbor a small crush on Qin Sang. I read somewhere that he’s like 16 or 17 here so I can see that happening.